As the 2016-2017 Memphis Track and Field season starts to wind down, many personal bests were broken at the American Athletic Conference Championships. Both women and men’s teams showed up well and performed above expectations with the men’s taking 3rd and women’s taking 6th. For a full overview of the meet results, click here! It has been a fun spring working with the athletes and staff of University of Memphis Track and Field. Every season has ups and downs, and luckily we were able to keep most of the team in one piece for when it matters most down the stretch to keep our athletes performing well at conference, regionals, and hopefully even nationals. Track and Field has been a challenging and interesting sport to work with. Most people may not realize the complexities that are involved with each individual position unless you have been involved with the sport. Each event dictates a unique body type, movement, and stress on the body. Some athletes require straight line acceleration, others rotational strength and stability. Some require a large amount of demand from the lower extremity, whereas others are practically gymnasts in regard to their requirements for upper body strength. Based on my experience with track and field as a provider over the last two and a half years, my opinion, albeit biased, is that every track athlete should be receiving some sort of preventative and wellness type care to keep them in one piece over the length of a track and field season. What many people do not realize about the sport, even young athletes themselves, is that similar to a drag car, most track and field athletes must rely on an all out effort in order to perform. This is different than the demands of sports like football, basketball, baseball, etc and a track and field athlete who is not firing on all cylinders or does not transfer forces correctly through their body and apply it to their external environment is going to have significant decreases in performance. A perfect throw, vault, jump, or sprint relies on so many technical factors that it is ESSENTIAL that the body be performing as optimally as possible. Any alteration in range of motion, tightness, fatigue, or imbalance in the kinetic chain will effect the end performance. I have very much enjoyed working with the Memphis Track and Field team this year, and am looking forward to continuing to contribute and do my part to ensure the success of the program. 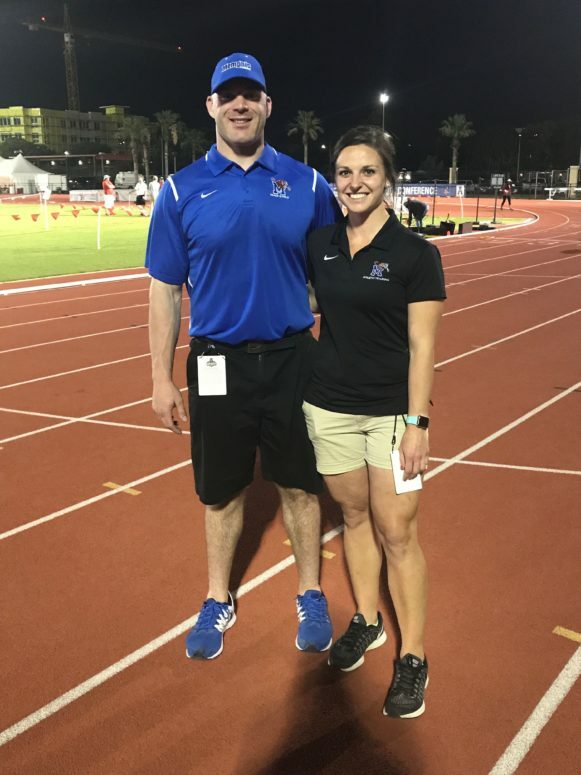 For more information on how track athletes can benefit from chiropractic care or if you are a track athlete looking to improve your performance and prevent future injury, contact our office, visit Mid-South Spine and Sports Performance’s website, or schedule a visit! Go Tigers, Go!